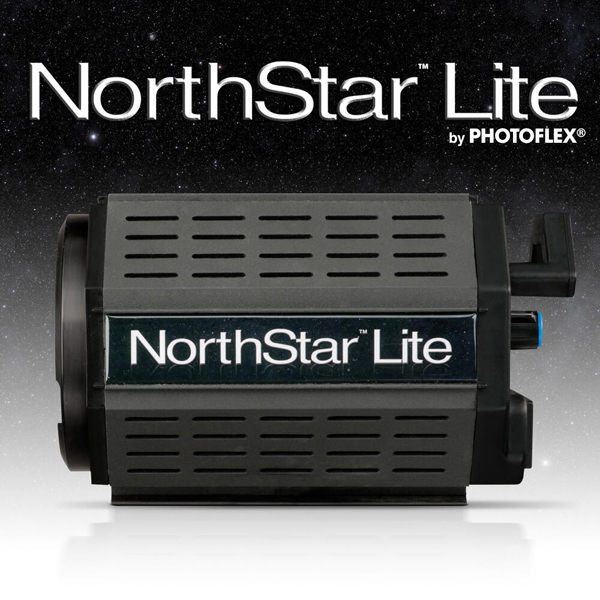 Photoflex has announced their first LED lamp, the NorthStar Lite, with output "equivalent to 1K tungsten". As analysts talk about the “convergence” of stills and video or the emergence of “hybrid” photographers, a new format of light has appeared. Many agree that LED lighting is the future, but cumbersome rectangular panels do not cater very well to photographers who have already invested in accessories for their studio flash heads. The latest trend is Bowens-mount LED light sources, which can fit common S-type studio light modifiers such as softboxes, reflectors and beauty dishes — allowing shooters to use accessories they may already own. Photoflex has announced their first LED lamp, the NorthStar Lite, “designed to be used with softboxes”. The Californian company follows the lead of manufacturers Jinbei, Aurora, Westcott and Priolite who have already launched their own S-fit LEDs in the form of the EF-100, 1000S, SkyLite and LED400, respectively. The NorthStar Lite puts out daylight-balanced light with power “equivalent to 1K tungsten” while consuming just 100 watts from the mains. Brightness can be dimmed from 100% down to zero with “minimal color shift”. The colour rendering index (CRI) is 85. There is a “quiet” cooling fan built into the head. Pricing and availability have not yet been announced but Photoflex will be unveiling the product this week at the National Association of Broadcasters trade fair in Las Vegas. For more information, visit the manufacturer’s web site.